As one of the only vendors of epidural positioning devices (EPDs) in Canada, we are often get asked the same question over and over – how much does an epidural positioning device cost? As the concept is quite simple and there aren’t very many variables, a lot of people we talk to think that this is the only important question. However, we’re here to tell you that there are actually several factors that you should consider when buying an EPD. Who Needs An Epidural Positioning Device? This is a great question to lay the framework for our article. We’ll get to the most important cost consideration at the end of this article. If you are a small healthcare center in a rural area where you see minimal patients with epidural needs, then you probably wouldn’t need an EPD. On the other end of the spectrum, if there are 10 operating rooms and an entire maternity ward, you may be thinking about getting a few EPDs. Did you know? Meditek’s Epidural Positioning Device can be used with a stand, or can attach to the side of the OR table. There are literally three options for positioning patients for an epidural. Obviously, the cheapest option is to use a nurse for positioning the patient. There’s no equipment involved, and it can be done in a relatively short time. Or is it the cheapest? A very big consideration is that this is a very risky stance to take due to the high potential for nursing related injury. This ties into the most important cost consideration, which is detailed at the end of this article. The next option is the manual EPD. While more expensive than using a nurse in the short term, this could be a longer-term cost saver. Safely positions the patient and holds them steady. There is no movement. Nurses no longer have to struggle to maintain a much larger patient. Comfortably positions the patient, whereas a nurse’s stature may affect the patient’s comfort level. Correctly positions the patient. With adjustability in the headrest, footrest and armrests, the patient is quickly put into the most optimal position every time. If the patient is sedated, they may have trouble cooperating with the nurse or following instructions. Nurses are able to freely help other staff, as they are no longer restrained to holding the patient. And finally, there is the electric epidural positioning device. With the e-EPD, the pros may be the cons for some. For example, while the positioning is conveniently done via automatic movements from a hand control, it may be quicker for some nurses to manual configure the best position for that patient. Where the e-EPD would come in handy is for bariatric or heavily sedated patients. Continuing on the issue of how much nurses’ time and labour amount to for acting as a positioning device, it’s important to point out the following. With an EPD, the anesthesiologist can solely properly position the patient in preparation for the epidural. This pre-emptive measure frees up the nurses’ time to perform other critical tasks. This also means that the cost of labour for a nurse to help the anesthesiologist setup and perform the sole task of being a positioner is negated. To maintain hygiene and prevent infections, disposable face cover rests are used. An alternative to disposable face covers is a Relaxa Gel horseshoe donut pad. These are reusable, so you would just need to buy one. Injuries to medical staff, in particular back injuries, are more common than injuries suffered in the construction industry. Every year, hospitals across Canada lose millions of dollars due to injuries that could have been prevented. 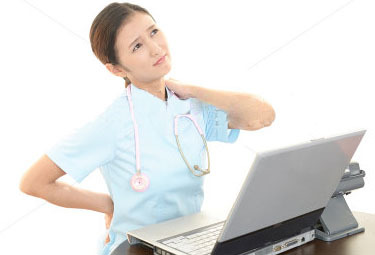 More so, millions of dollars are lost due to lawsuits by patients over improper patient positioning. Would you willing be to invest a minimal amount in an EPD to make procedures safer, more efficient and more comfortable for patients and staff, while potentially saving the hospital substantial money by avoiding something that could go wrong? So, now that we’ve gone over the cost considerations and factors for buying an epidural positioning device, it’s time to put it all together. For a manual EPD, you can expect to see a range of $4,000 to $6,000. For an electric EPD, the cost is from $13,500 to $15,000. For disposable face covers, expect a price of about $35 to $50 per box of 25. Your usage will depend on frequency of use and if you use the face covers for the arm rests. In the case that you want to use a horseshoe donut gel pad instead of disposable covers, the cost would vary depending on the pad between $100 and $200. Depending on the facility, even the lower-costing manual EPD may classify as a capital expense. Meditek prides itself on consistently bringing the latest medical technology to market, and the EPD is no different. 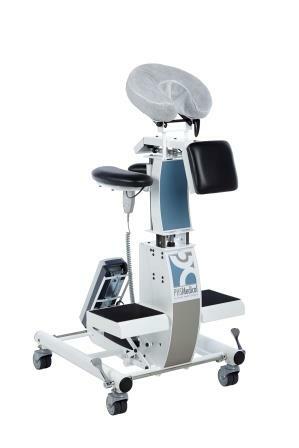 The EPD that we offer is a revolutionary device, featuring unique torso positioning, exclusive to our device. The design facilitates the movement of the back into an arched position for proper cervical alignment to position patients safely and comfortably during epidural procedures. Anesthesiologists designed the EPD for anesthesiologists.